Speaking with Doc had gummed up my thoughts and left me feeling guilty. I knew I wouldn’t sleep and wanted nothing more than to disappear into Neverland, so I veered off the path and made my way to Siren Rock, which jutted over Smugglers Cove. The breeze ruffled my hair and I looked to the waves, hoping to spy mermaids gathering the pieces of the moon that fell on the water and carrying them down to light their deep-sea grottos. And when that didn’t work, I pretended that I was Cutlass Kit, a fearless pirate captured by an enemy fleet, stripped of my ship and treasure and marooned on a cursed island ruled by a powerful wizard. To win my freedom, I must outsmart him: devise some potion of my own to weaken the enchantments he cast over me, build myself a coracle and take my chances on the sea . . . But it was no good. The story wouldn’t have me. Instead, my thoughts turned back to those limbo months when Doc and I inhabited the island like a pair of ghosts in the wake of my parents’ deaths. Seaside daisies withered beneath the cloud of grief that loomed low over the rocks. Its toxic rains polluted the waters, snuffing the fairies’ lights and driving away the mermaids and selkies. The island witch packed up her potions and disappeared into the night on a branch of Norfolk Island pine, and even the bravest of pirates said a prayer for the damned and turned their ships about when the lighthouse came in sight. The Learmonth Curse had returned, starving Neverland of its magic. I’d spent my days sitting on Siren Rock with my father’s old oilskin clutched tight around me, reading aloud selected passages from Kingdom by the Sea, as though they were incantations capable of restoring lost enchantments, and watched, listless, as boatloads of tradespeople and building materials arrived on the island and the frame of the Restricted Ward rose stark and skeletal against the sky. At night, unable to sleep, I climbed from my balcony and walked between the pillars and beams. Or else, I lay on the concrete foundation, so cold and smooth beneath my hands, and stared up at the stars – those ancient echoes of long dead suns – and felt the hollow at my core expand. Doc too, had wandered the island at night. He lay beside me and told me stories. Real ones. About the faraway places he’d visited in his travels – places I’d once longed to see for myself. And he taught me how to navigate by the constellations, so I could always find my way home. But his words ran over me like water, not sinking in. Then, when dawn reached her pale fingers between the clouds, he walked me back to the house where we sat by the fire with mugs of hot chocolate that tasted strange and finally brought me sleep. 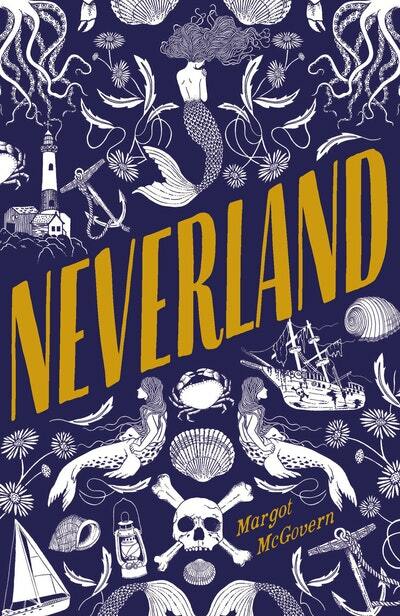 Back then, there was only one place on the island where magic still dwelled, a place so secret that, far as I knew, not even Dad had explored it. If I was lucky, it might still grant me passage back into that long lost kingdom by the sea. It wasn’t an ideal night for a visit. The air was cool, and the water would doubtless be freezing, but I would have to brave it. I pulled off my jumper and T-shirt and slipped out of my shorts, securing them with a rock so the wind wouldn’t carry them away. The night ran its chill fingers over my skin. I closed my eyes and opened my arms wide to the dark, then stepped back to give myself a run-up for the dive. A figure stepped from the shadows on the sand below, hands raised in mock surrender, and turned his face towards me. Dark, mussed hair, sharp features, a familiar quickness in his movements. For a second I thought it was my father and my heart fumbled a beat. Then the moonlight caught him fully. ‘Wait there. Someone’ll hear us if we keep shouting at each other.’ He clambered up to join me and sat on the rock with his legs dangling over the edge. I dropped down beside him. ‘Why? Is it dangerous?’ he teased. ‘The nights are hard,’ Rohan said quietly. I could feel the heat coming off him. ‘I have idiopathic insomnia – the kind that doesn’t go away. It starts when you’re a kid, so I don’t know any different.’ This wasn’t strictly true. Doc is the highfunctioning insomniac of the family. I’ve been visited by night terrors and bad dreams for as long as I can remember and always hated bedtime. But I didn’t know Rohan well enough to get into that. ‘A sleeping pill,’ I translated. I wanted to ask what Doc was dosing him with, but he’d snuck out to escape all that. Instead, I looked down to the beach below and tried to see it without seventeen summers of games, picnics and swimming lessons, all coloured by Dad’s stories. If you were blind to the mermaids who swam beneath the waves and the fairies who made their homes amid the rocks, and if you didn’t believe that the next moonless night would bring a pirate ship laden with loot and rum, it was a bleak view – a lonely scrap of sand shrinking by the hour before a dark, unending sea. Rohan had followed my gaze, but his eyes were glassy – his broodiness deepening to something more dangerous, and I thought about the assumption he’d made when he’d first seen me: that I’d come here to jump. ‘Yeah. They are.’ His voice was barely a whisper. With a great show of solemnity, he locked his pinkie finger with mine. ‘I’m hearing a lot of doubt and very little trust, Rohan.’ I stood up and made my way to the back of the rock to give myself room to jump. I felt Rohan’s eyes on my body, his gaze like a camera zooming in to linger on certain details. I tried not to let it distract me. Instead, I focused on the water, vast and glittering beneath the moon. ‘Step one: take a leap of faith.’ I ran and launched myself off the rock, thrilling at the rush of air against my skin and the gathering speed of the fall before the shock of cold sea closed over me. Enjoyed this extract? There's more where that came from. 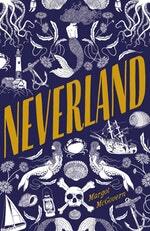 Love Neverland? Subscribe to Read More to find out about similar books.